Back in August of 2012 we learned that Phil Ivey was embroiled in a dispute with Crockfords Casino for some £7.8 million in winnings that occurred during a two day session of Punto Banco Baccarat. Last week we learned that Phil Ivey had filed a lawsuit against the casino back in March, claiming they are illegally withholding his winnings. Now, in a Daily Mail article this weekend the casino fired back with its own side of the story, claiming Ivey took advantage of a “Rogue” deck to beat the casino, with the help of an accomplice. This is the most detailed account of the story that has come to light so far. While Ivey’s statements about the incident are vague, according to the Daily Mail, Crockfords is talking, and is giving specifics about precisely what occurred. According to the account given in the Daily Mail, the casino was using “Diamond-backed” cards, which if not cut precisely can look different based on the way they are turned. 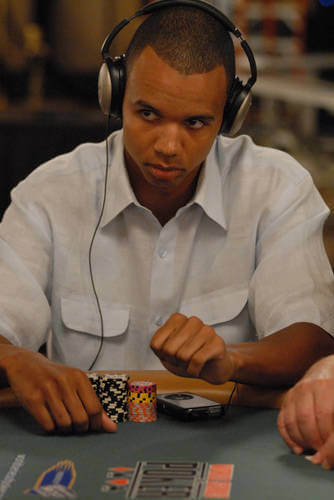 The casino’s account of the event was that whenever Ivey was dealt an 8 or a 9 his companion would ask the croupier/dealer to “turn” the card, claiming Ivey was superstitious, which because of the design flaw would enable Ivey to identify them –players are not allowed to touch the cards in baccarat, but because there is no advantage to having a card turned the dealer complied. Interestingly, this isn’t the first time this method has been used to beat a casino, and in previous instances the casino won in court against the player who had noticed the design flaw and taken advantage of it. Basically, it appears that if a casino is incompetent and doesn’t check the equipment it puts in play you cannot take advantage of it –which seems like a really bad decision to me, as long as the player did not introduce the cards, dice, etc.